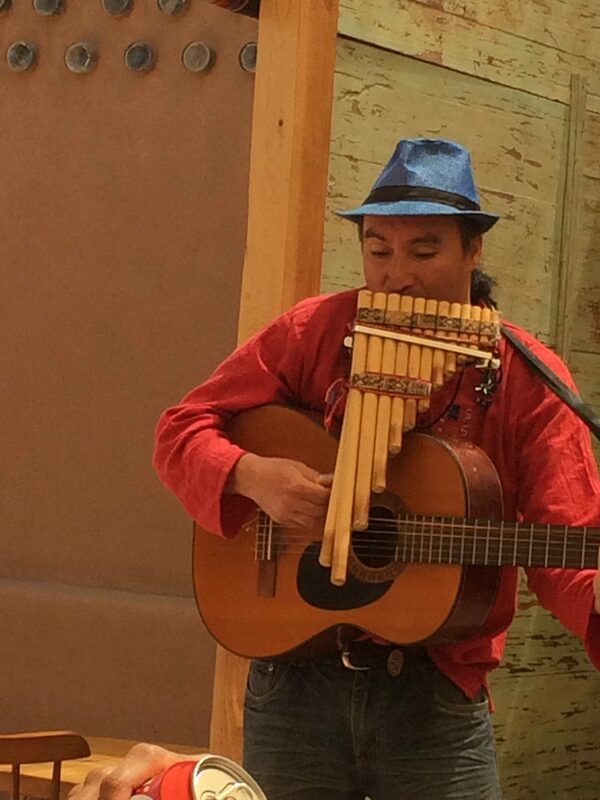 Seen here is a young musician playing the pan flutes and a guitar simultaneously, somewhere in the heart of #Atacama, the driest desert in the world, a plateau, a 1000km strip of land on the #Pacific coast, west of the #Andes mountains, in #Chile. Pan flutes are a set of pipes made from bamboo, giant cane or local reeds, put together in increasing length. The pan flute is named after Pan, the Greek god of nature. In Greek mythology, Syrinx was a forest Nymph. In her attempt to escape the affection of god Pan (a creature half he-goat and half man), she was transformed in to water-reed . Then, Pan cut several reeds, he placed them in parallel one next to the other, bound them together and made a melodic musical instrument. It is played by blowing horizontally across an open end against the sharp inner edge of the pipes.